Bruce Harper was a teenager when he attended his first Kentucky State Fair in 1958. Since then, he has missed only one fair in 1975, when he was out of the country. Since 1990, Harper’s interest in the annual August event has been more than that of a typical fairgoer. For 13 years, he served on the Kentucky State Fair Board, which operates both the Kentucky International Convention Center and the Kentucky Exposition Center. 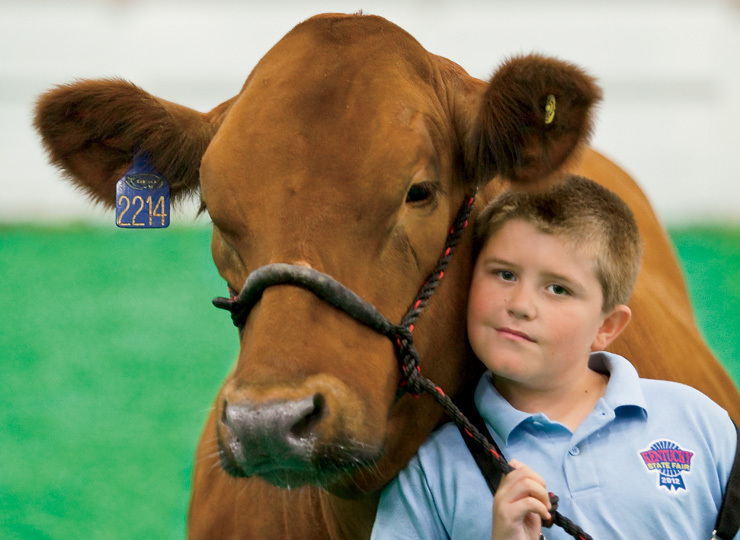 The Exposition Center in Louisville is the permanent home of the state fair, as well as two other signature events in agriculture, the National Farm Machinery Show and the North American International Livestock Exposition. The Exposition Center opened in 1956 and, at the time, was considered the most modern multipurpose facility in the world. There was so much buzz about the facility that NBC’s Today show broadcast live from the fair that year. Since then, expansions and improvements to the center continue to earn it praise as a premier venue for the state fair and other activities. From 1908 to 1955, the fair was held at the Kentucky State Fairgrounds in Louisville, after rotating among cities for its first six years. And although the first fair was held in 1902, the 100th fair wasn’t marked until 2004. In 1942 and 1943, the fairgrounds was used for wartime efforts and the annual fair was canceled. During those early years, roving acts, including Madame Spellman’s troupe of trick bears, bulls and horses, entertained crowds. 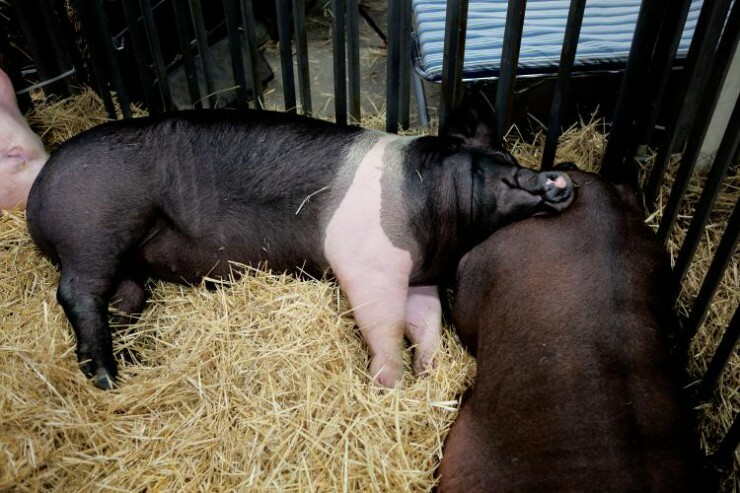 However, the main attractions at those fairs were horses and livestock shows, including the Parade of Champions, a focus that Harper says remains more than a century later. 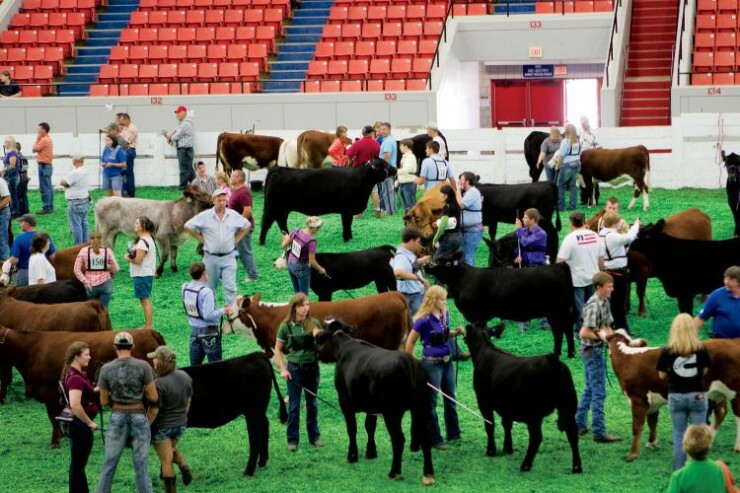 He calls the fair’s seven-day world championship horse show, which can feature more than 2,000 horses, “a true sight to see and a real crowd pleaser every year.” The 4-H and FFA Sale of Champions is another very popular fair event. “The auction ring will be packed,” Harper says. “We don’t miss a chance to spotlight our young people and their work.” He explains that it’s not only great exposure for the young people, it can also be a lucrative reward for their hard work. 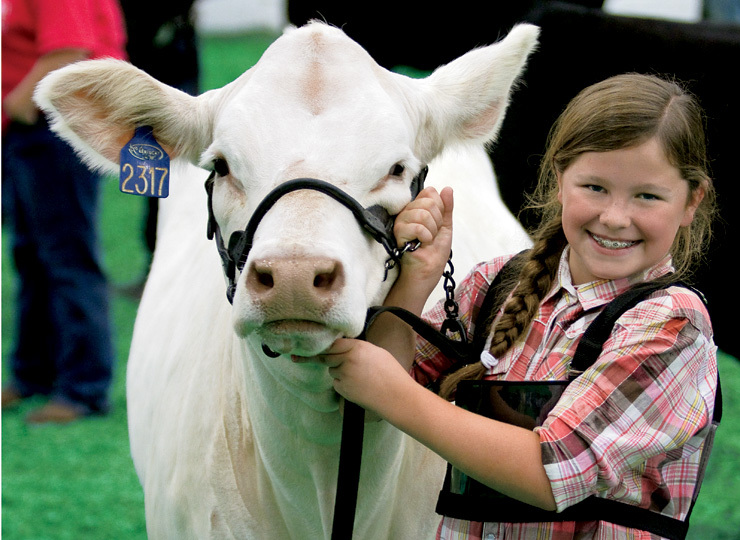 The 2011 champion steer brought in a little over $25,000 and the champion lamb sold for $16,000. For Harper, it’s one of the highlights of the entire fair. But old traditions mix with new, so there is something for everyone. The Great Pumpkin Contest has quickly become a favorite. An extensive lineup of concerts attracts newcomers as well. Longtime fairgoers and first-timers alike enjoy seeing Freddy Farm Bureau sitting tall on the front porch of Freedom Hall. For Harper, like so many who visit the Exposition Center during those 11 days in August, the fair represents an opportunity to enjoy some good, old-fashioned fun, a chance to support and appreciate the efforts of the agriculture community and a time to renew old acquaintances and meet new friends. 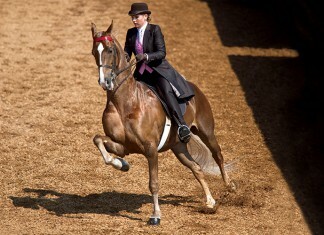 Prominent horse competitions attract visitors from around the world.